Fire indicator panels (FIP) senses the presence of a fire by way of smoke & heat detectors. Each detector is linked back to the panel, advising of the relevant zone in the building where the fire has been detected. If the FIP is a monitored type, the fire brigade will attend. 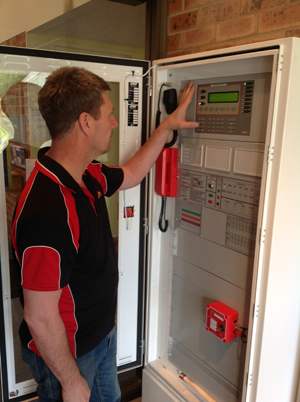 Adelaide Hills Firewatch carry out regular routine maintance/servicing and testing to Australian standards of all fire panels, we supply your clients with all the required service and test sheets to meet Australian standards. We can retrofit an old building or assist in design of fire equipment requirements on new commercial buildings and alterations. AHFW will help you meet current Australian Standards with attention to your budget constraints and estimates.